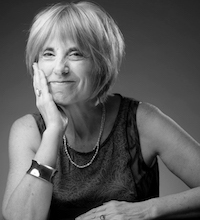 Diane Jacobowitz (BFA, Ohio State University; MFA, Connecticut College) has a distinguished career in performing, choreography and arts administration. She has taught dance to youth and adults of all ages and backgrounds for 26 years at numerous institutions. She has directed and taught at several programs including the Dance Department at Westchester Music and Arts Camp and Hunter College Dance Department. She was instrumental in establishing the Dance Major at Long Island University, where she was a professor for 9 years teaching ballet, modern, choreography, aerobics and speech. She taught and directed the middle school dance program and afterschool dance elective at the Berkeley Carroll School in Park Slope for 6 years. Diane choreographed and directed her own company, the Diane Jacobowitz Dance Theater for 15 years, during which time, the company toured, performed and engaged in residencies throughout the Northeast. Her company, DJDT performed at BAM in 1992. Diane has also performed with several prominent choreographers including Kenneth King, Marta Renzi, Grethe Holby, Kathy Duncan and Annabelle Gamson. She founded Dancewave in 1995 with the mission of bringing dance to a broad spectrum of the city youth population, particularly to those talented dancers who lacked the means to afford pre-professional training. Her main focus has been working with young people as artists in the making and connecting them early to the rigor of high level performance and exposure to world renowned dance artists. As Executive/Artistic Director of Dancewave for the past 20 years, she has developed innovative programming to capture the talents and imagination of young dancers. Some of the programs she has developed, in addition to the Dancewave Company model, include Dancing Through College and Beyond, the Dance Career Symposium and the Kids Cafe Festival. Under her leadership, Dancewave currently reaches over 3,000 young people citywide through programs both at the Dancewave School and in partnership with over ten New York City public schools. She is currently leading the campaign for Dancewave’s capital project – the opening/launch of a brand new dance center in downtown Brooklyn in 2019.